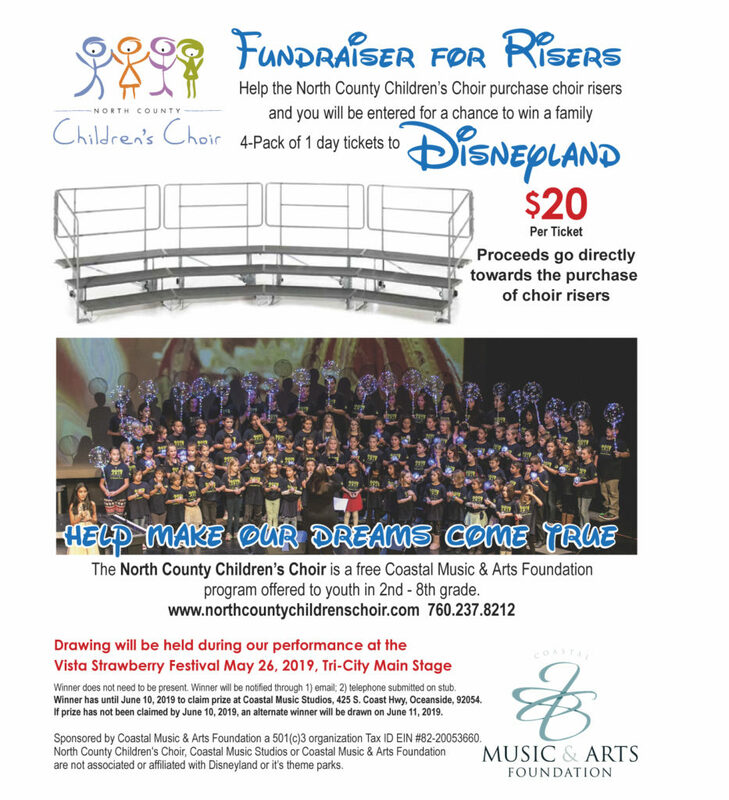 The North County Children’s Choir is sponsored by Coastal Music Studios and directed by Pam & Andy Allen. We started the NCCC as a way for our new business to give music back to the community and make sure all kids have an opportunity to experience music in their lives…even if they cannot afford private lessons. Our first rehearsal was on Oct. 22nd, 2012…and we had 72 singers come out that night…amazing! In our 5th year of offering the NCCC, every session continues to see 60-80 singers participating and we get some incredible opportunities to perform around San Diego County.